The latest brainchild from the creators of the The Genius, Society Game is a brand new tvN reality game show which premiered earlier this month. While the show is designed and edited in a very similar way to The Genius it’s a whole new ball game on its own and is worth checking out, even for non-Genius fans. Here are four reasons why. In this game show, 22 participants have to live together in an outdoor filming set designed to look like a traditional Korean village for two weeks. The set is split into three main areas, “Nop-dong” , “Ma-dong,” and the “Neutral Zone.” Participants are separated into two villages and compete against each other daily, with the losing village eliminating a member. This set-up alone allows for personal interactions between the participants within the villages since they really have to get to know each other and adapt to each other’s living habits. While such hijinks can be humorous and adorable to watch sometimes (martial artists getting scared of live chickens), living together on Society Game can get extremely tense since the participants have so many more opportunities to form alliances or trick each other. The real competition arguably takes place within the villages when each day ends, and this constant tension is what makes the show so unique and fun to watch. The “true” side of each participant is also more likely to be revealed, especially when they are placed under increasing pressure and extreme conditions (the show was filmed during a heatwave and the participants slept outdoors) so this show could be a good watch for fans of shows like Survivor. Also on Kultscene: What Do You Find At The End Of A Rainbow? Within this relatively large cast, the show’s participants are from different educational backgrounds and have varied occupations, ranging from an English lecturer to university students. This diversity makes for interesting television, since people with different life experiences and even age would naturally have different strategies and opinions. More importantly, they have varied abilities, with some of them being extremely athletic, some who are quick on their feet and others who have great cognitive abilities. These abilities are all valued equally among the participants, especially since the challenges posed to them tend to incorporate elements from all three domains. There are a few stand-out participants however, who have already made a name for themselves in the show. One of them is mixed martial artist MJ Kim, a 26 year old woman who continually defies gender stereotypes with her physical strength and abilities. With her decisive and hardworking nature, she is shaping up to be one of the strongest participants in the show. Along with her is comedian Yang Sang-gook who successfully led a rebellion in his village within the first episode of the show and has maintained a tight rein over the villagers under his charge ever since. While he might have the manipulative skills required to ensure that he is always in an advantageous position, he also does show genuine care for his villagers. His leadership skills and initiative has won the trust of the people around him so far and with his foresight, he will probably go far in this game. Society Game functions somewhat like a social experiment, not just to observe how strangers live together for two weeks but also to see how successful or disastrous certain government systems can be. In the case of this show, Nop-dong is run as a democracy, with new village leaders being elected daily through a vote. Ma-dong, on the other hand, is run as a totalitarian state. Once elected, the leader will remain in power until another villager completes a rebellion successfully with the support of a majority of the villagers. Both systems have their pros and cons and create vastly different dynamics in the villages. In Nop-dong for instance, with their daily elections, the tide can turn very quickly depending on who is in power. These daily elections can fracture and divide the society so much so that it would be difficult for the village to stay united for long. 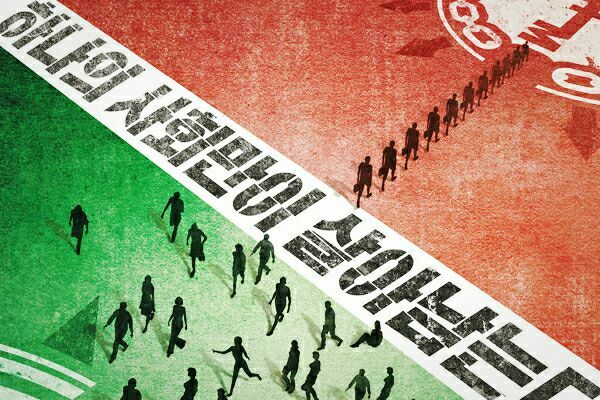 In Ma-dong however, the divides are more clearly defined and the alliances more permanent, since survival can only be ensured if you are among the majority. It may thus seem more stable on the surface, but will definitely lead to more complicated problems in the future. Society Game therefore gives viewers a very exciting demonstration of these two types of governance, especially when participants of high calibre are involved. Though the show has just begun, the in-depth strategizing of the participants has already caught my attention and I’m excited to see how both villages will turn out. I expected nothing less coming from the team behind The Genius but I’m glad to report that the editing for Society Game is pretty top-notch. The background music used really sets the atmosphere for the show, whether it’s meant to be humourous or tense and climatic. Interestingly enough, a few less exciting or downright awkward scenes which would have been cut from mainstream variety shows are occasionally added as well. While this sometimes breaks the flow of the episode, they serve to build up the characters of the participants, making them more personal and relatable for the viewers. The use of time-skips and flashbacks in this show has been excellent so far as well, as it creates some truly shocking plot twists and game changers in the episodes. Society Game premiered off with a strong start and has shown much potential in its run so far, so here’s hoping that its success will last. Check out a preview of the show below! Have you watched Society Game? What did you think about it? Share your thoughts in the comment section below and be sure to subscribe to the site and follow us on Facebook, Twitter, Instagram, and Tumblr to keep up with all of our posts. South Korean cable network tvN, owned by CJ E&M, has turned into one of Korea’s trendiest channels. Since 2012’s “Answer Me 1997,” the station has produced hit show after hit, proving that the channel was able to put together a great experience for viewers as an alternative to the shows produced by Korean broadcast channels. But as tvN continues to compete, and often surpass, Korea’s broadcast programming weaknesses are rearing their faces at a time when tvN can make or break its image. However, tvN’s growing focus on changing the show’s plot to focus on the second male lead to try and shock viewers has instead resulted in audiences growing appalled at the lack of coherence in some of their latest shows. tVN’s stellar production history that began with “Answer Me 1997” and led through the successes of trailblazing shows such as “Misaeng,” “Liar Game,” and “Twenty Again” is now facing an identity crisis. tvN’s latest shows, “Answer Me 1988” and “Cheese In The Trap” suffered immensely from changes relating to the plots after the show was well under way, in part thanks to sudden changes made during the live-production of the show. Rare in Hollywood, live-production is rampant in Hallyuwood. Although more heavy budget dramas, such as “D-Day” and “Descendents of the Sun,” are increasingly going to air after completely finishing production, most Korean dramas are still produced while the show is airing with only a handful of episodes fully ready before the series begins airing. Over the years, last-minute production has become rarer and rarer, but 2011’s “Sign” is still upheld as a warning of live-production gone wrong: The finale featured numerous editing errors and color bars appeared on air at one point due to last minute editing, revealing that the show had been filming as late as possible. While neither “Cheese In The Trap” nor “Answer Me 1988” had any last-minute technical issues, another peril of live-shoots has affected both shows: Changing the show in reaction to audiences. Both shows set themselves up as promising one trajectory, but then ended amidst waves of anger from viewers who felt misled by the romantic subplots of the show, a basic tenet of many South Korean dramas. While Korean dramas are famous for second-lead syndrome, with a secondary attractive male getting his heart crushed by the lead female in favor of the show’s main male protagonist, “Answer Me 1988” allegedly changed things so that fans didn’t find the show too predictable. The result? Disappointment. “Answer Me 1988” completely changed over the show halfway through. The show, starring Lee Hyeri of Girl’s Day, Ryu Jun Yeol, and Park Bo Gum, set itself as a retro throwback mystery with viewers guessing which of the men Hyeri’s character Deok Sun would marry. Ten or so episodes in, all signs hinted to Ryu Jun Yeol. Then, with little warning, Ryu’s character was thrown to the curb as Park and Hyeri’s characters paired off with one another. Following the show, Ryu revealed he felt disappointed in how his character was essentially ignored for most of the final episodes of the show and not given appropriate closure after certain romantic scenes made both the actors and audience believe his character was the future spouse. According to fans online, the writer of the show changed the plot so that viewers were surprised even though Ryu had been written in as the husband at the start of the show. Scenes and hints that seemed to point in the direction of Ryu’s character as the husband suddenly came to a halt and were ignored as the showrunners tried to tie everything together. While all actors involved played their parts perfectly, and it was believable that Hyeri and Park’s characters fell in love thanks to the pair’s chemistry, the way the show carried on for so long under one understanding was jarring for viewers. Perhaps a longer series could have recovered, but writing more than half of the show with one intent then changing suddenly was ruinous and put a halt to the near-perfection of the show. Similarly, “Cheese In The Trap,” which aired its final episode in Korea today, began with an intriguing premise. Main character Hong Seol (Kim Go Eun) tries to understand Yoo Jung (Park Hae Jin), who acts one way most of the time while revealing darker motives that only she is conscious of. As the relationship progressed from friendship to love, Seol struggled like a mouse trying to decide if she would approach the cheese of Park Hae Jin, or if it wasn’t worth getting caught in the trap. The show focused on the pair’s interpersonal and psychological issues, hinting to the darker side of human nature and psychological disorders. Or it used to, at least. It was very clear at one point of the show that both Yoo Jung’s hidden and manipulative behavior and Seol’s lack of getting close to her peers emotionally hinted to psychological issues. Yoo Jung’s character showed signs of antisocial personality disorder, while Seol appeared to be suffering from depression. Neither situation was life threatening or as dramatic as the autism featured in “Good Doctor” or schizophrenia as seen in “It’s Okay, That’s Love,” but the show seemed to be walking the line between raising awareness regarding worrisome behavior and for praising it. tvN appeared to be aiming at the pair coming to terms with their mental health issues and helping one another through the difficulties. But then Kang Seo Joon’s character of Baek In Ho was more sympathetic to the audiences and the showrunners seemed to write Park Hae Jin out from many scenes of the drama. Scenes that were important to show the reasons behind Yoo Jung’s darkest actions were cut and plotlines went unresolved. Park, the forerunner, was all but cut from many episodes. Park, who has appeared in numerous popular Korean dramas and previously revealed that he took the role seriously and reread the webtoon “Cheese In The Trap” multiple times to get a feel for the complexities and nuances of Yoo Jung, publicly stated that the final version of the drama was not what he had expected it to be. “I believed in the original and decided to commit the the drama before anyone else was involved, even the director,” Park told OSEN. “Now I don’t believe in anything.” If it was a one off situation, where a main actor was disappointed with his character’s role, it would be fine. But not only is this the second time, following “Answer Me 1988,” that a male lead character was thrown under the bus for the sake of the showrunners, but the “Cheese In The Trap” producer went so far as to apologize to webtoon writer Soonkki for how the show mistreated the author’s characters and plot. Tropes get a bit boring after time, but the suddenness and lack of exploration depicted in both “Answer Me 1988” and “Cheese In The Trap” highlights the fact that tvN’s attempt to respond to the reactions of viewers backfired. “Answer Me 1988” was ruined because fans were aware of the planned plot so the writer altered things, while “Cheese In The Trap” was kept from delving into deeper issues throughout the latter episodes of the show by the audiences’ reaction to Seo Kang Joon’s character. If tvN wants to reclaim the trust of its fans, changing plots based on Internet opinion is not the way to do it. Fans look forward for tvN dramas to deliver relatable characters with storylines that inspire and make sense. tvN’s previous hits make it clear that the company’s showrunners know how to intrigue without being overly dramatic and it is to that point where tvN should aim to return once again. What do you think about “Cheese In The Trap” and “Answer Me 1988”? Share your thoughts in the comment section below and be sure to subscribe to the site and follow us on Facebook, Twitter, Instagram, and Tumblr to keep up with all of our posts. The final episode of “The Genius: Grand Final” aired on the 12th of September and a new “king” was crowned. As it is produced by cable network tvN, “The Genius” is not as well-known among K-pop fans as other shows such as “Running Man” and “Superman is Back”, but over the past four seasons the show has garnered quite a large fan base both locally and internationally. “The Genius” is a variety show where 13 contestants of different backgrounds and age groups are gathered for a battle of wits that lasts throughout a season of 12 episodes where a contestant is eliminated each episode through a death match. The final winner, or the king, is given a cash prize based on the number of garnets earned by the players throughout the season. How then, you might wonder, did this intellectual show, in particular its fourth season, manage to attract so many fans? Here are five of the reasons why. It is an intellectual competition after all, and the games that are played every episode are certainly of a high standard. Each episode is broken up into two parts, a “Main Match”, where the winners are granted tokens of life and the loser is sent into the “Death Match” along with another contestant of his choice. Main matches take up the majority of the episode, and they range from auctions to horror races and even card games. The rules of the games are very extensive, but they are all necessary in order for the participants to gain victory. The show always ensures that viewers know what is going on, however, by using an animated video at the beginning of the game to explain the rules. The possible scenarios for winning or losing the game are also spelled out clearly so that both the participants and the viewers will be able to understand how the game works. When a participant makes a game-changing move (this usually happens at least once per episode,) the show will insert a special commentary of the person’s move and how his or her move would affect the game. This is a genius move on the part of the producers because it would help viewers understand what the participants are thinking and in a way, add more personality to the participants. Once viewers are able to become invested in the games they will experience a greater thrill and excitement while watching, which is one of the greatest strengths of this show. If you’re a fan of the Korean drama “Liar Game,” you’ll definitely be a fan of this show as well. Seeing as how both shows are produced by the same company (tvN), this was something quite expected in terms of the format of the show and the games that were played. In fact, when the first season of “The Genius” aired, it was criticized for being too similar to the original Japanese version of the drama. Apart from the format however, what I found the most similar was the way cast member Kim Kyungran played the games in “The Genius”. She was a runner-up in season one and returned in this fourth season, She reminded me of Nam Da Jung (the protagonist in the Korean version of “Liar Game” played by Kim So Eun) in the way she constantly advocated for mutual cooperation and trust. Kim Kyungran embodied her beliefs in her actions as well, because she never failed to keep her promises and help her teammates, all of which led to this amazing moment in episode five where five participants (including Kyungran) achieved a joint victory together. Anyone else having “Liar Game” flashbacks yet? The unique part about this fourth season is the fact that all the participants are people who have been in previous seasons of “The Genius”. This does not just heighten the tension surrounding the various matches and eliminations, it also ensures that viewers get to enjoy the familiar banters between the participants. The cast is made up participants from various backgrounds and occupations including Jang Dongmin (comedian), Kim Kyunghoon (graduate student), Yoo Junghyun (politician) and so on, but they get along very well together. No matter how tough the competition is, the participants are always able to find humor and joy from each other (but this definitely does not mean that they go easy on each other! ), which is very heartwarming to observe. Take the last episode for example, when the finals were concluded the whole cast gathered back in the main hall and held hands. It was a sign of unity, but more than that it was also about forgiveness. There were many betrayals that took place throughout the show but at the end of the day the friendships that they had forged with each other were more valuable than any prize money they could have won. It’s an important lesson, and one that the show brings out actively. In addition, tvN releases “behind the scene” footage of every episode, which gives viewers an insight about how the episodes are filmed. Most of it is hilarious and fun, and these videos once again show how close the cast have gotten as they spent long hours filming this program together. No matter how interesting a cast or a game is, it is definitely difficult for an intellectual show like “The Genius” to be humorous and enjoyable for mainstream viewers. But that’s where the production side comes in. Everything from the captions that are used to the background music that is thoughtfully selected for every scene contributes to the delightful program that is “The Genius”. Suspense levels are kept very high with the numerous twists and turns in every episode. The best example of this would arguably be in episode four, when the tables were completely turned contestant Oh Hyunmin, who was portrayed as the most likely victor throughout the whole game, when a secret alliance was revealed at the end and Hyunmin was in last place. It was such a surprise, both for the participants and for the viewers alike, and it is surprises such as these that keep viewers engaged and excited. The background music that has consistently been used for this program since the first season is mainly provided by a band called Idiotape. Their music is highly electronic in nature and is very climactic with a clever use of the drums, which suits the nature of “The Genius” to a tee. Idiotape’s music has become an icon of the show, much like other aspects, such as the socalled “Bandage Man” and the main dealer, Hong Jiyeon. And finally, arguably the star of season four, is Jang Dongmin. Don’t get me wrong, this is not my personal bias speaking, but I had started out this show with a very low expectation of this comedian and my impression of him has completely changed. I had watched him in “Crime Scene Season Two” previously, but apart from being impressed at his amazing memory, I did not think that he was an exceptional participant. I certainly did not expect that he would be such a loyal yet cunning player, with good social and leadership skills. As mentioned several times during the season by his fellow participants, Jang Dongmin has the perfect skill set and ability for this show. He may not be the best mathematician or the boldest gambler, but he knows when to show off and when to play safe. He is also very driven and determined, as can be seen by his face-off with Oh Hyunmin in a deathmatch game of Tactical Yutnori, a new take on a traditional Korean game. In season three of “The Genius,” this was the only game that Dongmin had ever lost, and it was also against Hyunmin, one of this season’s forerunners. Dongmin saw this chance as an opportunity to prove himself and show his improvement, and boy, did he succeed. Apart from proving his own abilities, Jang also desired to show that comedians were not a group of people to be looked down on, but that they are intelligent and valuable people who deserve to be respected. The show highlights the fact that Dongmin grew up poor and less privileged than some of his fellow contestants, so it becomes a triumph even for the viewers when he succeeds in matches and challenges. By being on this show, Dongmin disproved a lot of common stereotypes and thus gained a lot of respect for it. No matter who the fans supported, they never begrudged Dongmin of his success, to which I must say kudos to both Dongmin and the show for portraying him in such a manner. As a bonus, Dongmin’s interactions with “The Genius” constant, Dealer Hong Jiyeon are both adorable and hilarious. It’s amazing to see the normally cold-hearted dealer turn into a smiling and flustered woman in front of this charming comedian, and tvN certainly realized it, judging by the number of times she ended up featuring in their “behind the scene” videos this season. 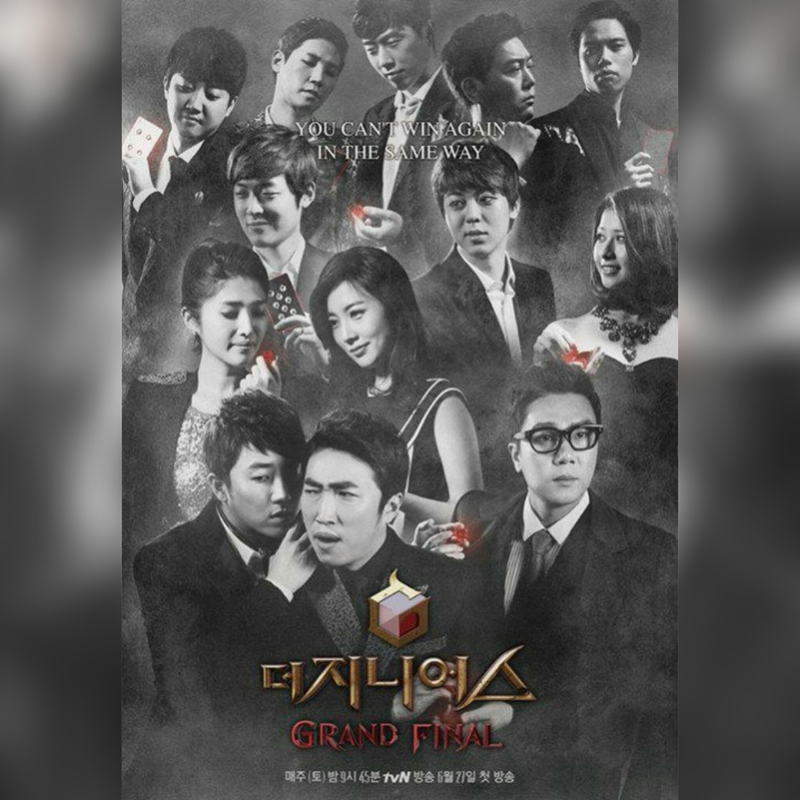 “The Genius: Grand Final” is a show packed with humor, heart and thrill. I’m definitely looking forward to the next season of it! Are you watching “The Genius”? What do you think about the evolving variety scene in Korea? Share your thoughts in the comment section below and be sure to subscribe to the site and follow us on Facebook, Twitter, Instagram, and Tumblr to keep up with all of our posts. 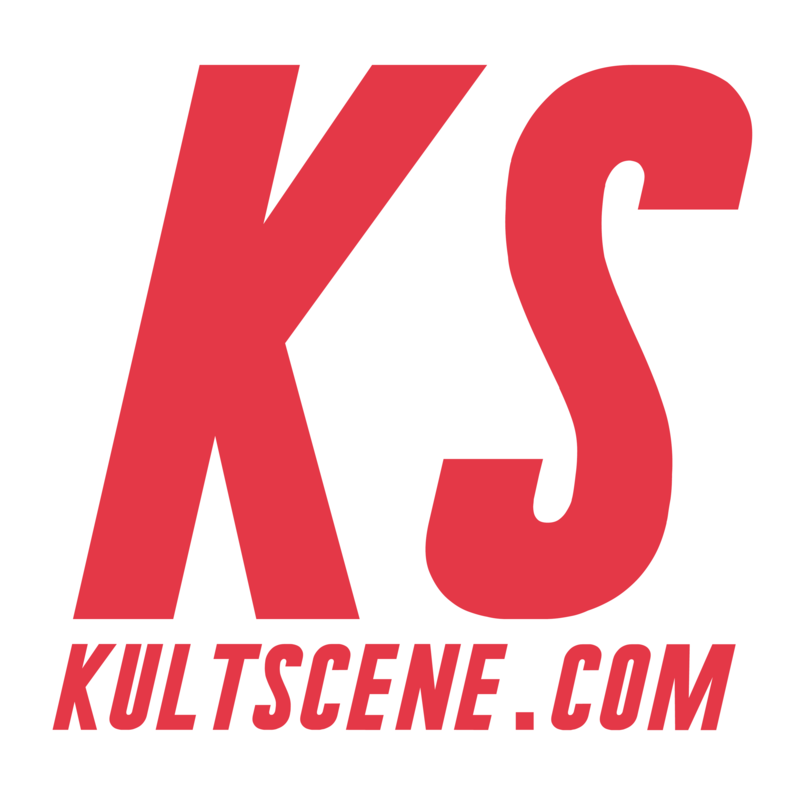 https://i0.wp.com/kultscene.com/wp-content/uploads/2015/09/1443094128847.jpg?fit=2048%2C2048 2048 2048 Anna Cheang http://kultscene.com/wp-content/uploads/2018/02/KULTSCENE-LOGO-2018-TRANSPARENT-RED.png Anna Cheang2015-09-25 05:20:592015-09-27 15:50:065 Reasons Why You Should Watch "The Genius: Grand Final"